Beautiful character, good mannerism or wholesome disposition is the foundation upon which a human being establishes his or her being. The art of Being Human is solidly founded upon the character that a person embodies. If this very foundation is weak, no matter how much knowledge, intellect or eloquence in speaking the person carry, all are as if castle built upon thin air. The accumulation of whole life time, the building of empire can come crushing in a moment when the character of the person is not balanced / wholesome. Thus in authentic spiritual learning and training - great emphasis is placed upon focusing on building the proper character for the seeker. The Messengers, the Avatars of age were epitomized with their adorned character as example to their fellow disciples, nations and generations to come who receive the transmission from them. In many tradition it is known that the great enlightened beings also had greatly enlightened character. In fact it was their beautifully fragrant characters which made them so endearing to their fellow pupil and everyone who came to smell that fragrance of their character couldn't help but fall in love unconditionally with them. This an universal phenomena without exception. The great spiritual beings share this common train of having beautifully adorned character. In Islam, a good seeker is encouraged to aspire towards sound character or disposition. The training of the mureed or student or disciple begins by the training of the character. 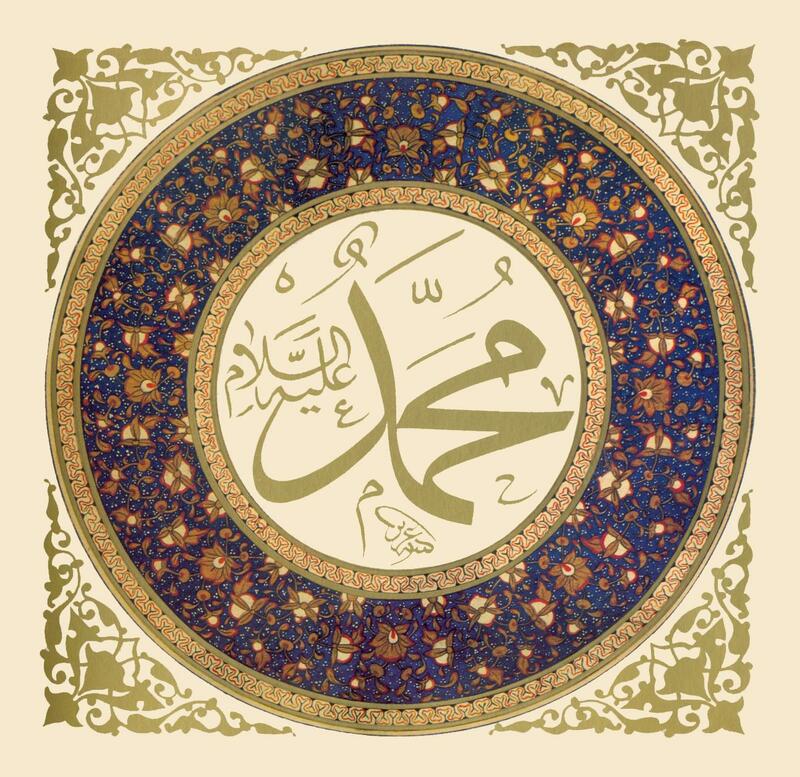 In Islamic model of spiritual training, the Messenger represent the best of character and like previous God sent Avatars, Muhammad Mustafa had beautiful characters which even his staunch enemies would also praised about him and couldn't deny his wholesome trustworthiness. His profoundly balanced character is declared as a model for humanity. He in his embodiment have remained as a real example of how to engage in every possible role of being human and at the same time carry the best of integrity in every aspect. He was a deep mystic, a lover of God, a family man, loving husband, tenderly compassionate father, vanguard of justice, sharply intelligent advocate, visionary social reformer, a just ruler, a beloved teacher to his pupil, a warrior, a defender of the oppressed, a humble member of the community, a faithful counselor, a religious and spiritual genius and administrator, an inspiring human being and above all - as someone who in his lifetime demonstrated to be superbly balanced human being of highest integrity in the vast spectrum of what it means to be a complete human. In Islam the way of being of the Messenger, his teachings, sayings are very carefully preserved which are known as hadith (literally means "narrative", plural ahadith). 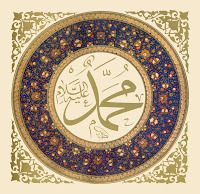 The hadith or the sacred apostolic traditions holds its important place in Islamic teachings because it often function as a next layer of commentary and guidance after the direct divine revelation (preserved as the Quran or Final Testament, Seal of Message). In this two post series Forty ahadith on the teachings of Character is shared. Muhammad Rasulullah, may Allah bless him and perfect our love for him, has said, "That person among you is dearer to me who has beautiful character." On the Day of Resurrection, the deed which will be the heaviest on the divine scale (of ultimate accountability) for the believer will be his beautiful character (khulqun hasana). A being who submits to the Divine (muslim) who live among people and bear patiently the difficulties coming from people is higher and better in station than a person who neither mingles with people nor bear patiently difficulties from them. A faithful person because of his or her beautiful character receive the honor equivalent of those people who spend their entire night in worship / night vigils and spend their entire day in fasting. Allah loves not people having evil character. One day a companion of the Holy Messenger, Abdullah ibn Abbas was with the Apostle. Then the Messenger turned to him and said, "Listen son! Be mindful of Allah, Allah will take care of you. In every affair remember Allah and you will find Him (present) in front of you. When you need to ask, ask only to Allah; and when you are in need of help, ask help only to Allah. Remember this well, if all people on the face of the earth were to gather together to aid you, they will not be able to help any more than what Allah shall appoint for you. Likewise if all people on the face of the earth were to gather against you, they would not be able to harm you any bit more than what Allah shall appoint for you. The Divine Pen has been lifted and the inks have already dried. Allah looks not at your outward appearance and your wealth, rather Allah looks at your heart and your deeds. O people! All of you turn to Allah and repent, for I turn and seek repentance hundred times a day. The person who appoint for himself or herself istighfar (asking forgiveness) as an obligatory action, Allah opens for him (or her) the doors of liberation from every tribulation and respite the person from every kind of worries and gives provision from unimaginable sources. Allah says, "My Love is incumbent upon those who love each other for My pleasure's sake; those who sit together for My Love's sake; those who meet each other out of their loving relation with Me and those who spend on each other in order to reach My divine satisfaction." Those (desert traveler) who fear the ransom of their merchants by street bandits in the early dawn, must start their journey at the silent hours of the night and those who start journey at the silent hours of the night reach their destination safely. Remember the Allah's merchandise is priceless, and remember that Allah's merchandise is the Garden of Post-Eternity (Jannah). In this community (ummat) the first rank of goodness is trustworthiness and readiness to selfless sacrifice (zuhd) and the first rank of evilness is miserliness and materialism. If you could trust on Allah as He deserved to be trusted upon, Allah would give you provisions like the birds in the sky. In the dawn they leave their nest in empty stomach and in the evening come back with their stomach full. The one who remain content with his (or her) small provision, Allah is also content with his modest amount of devotional deeds (amal). That person has achieved blessedness who have accepted the Way of Divine Submission (Islam), and who is given his necessary provision and whatever he is given by Allah, he is also given the capacity to be content with. One day the Messenger addressed a certain leader of a tribe saying, "There are two characteristics among your people which Allah loves. One of them is tolerance and the other one is calmness." Every affair with the faithful is wonderful! For him or her every possible state has goodness. If he has affliction and he bear it patiently - this affliction and bearing it patiently turns out to be of blessing for him, and this is only a hallmark of a faithful. Every affair with the faithful is amazing!For his or her every action has benefit for him. This is only a hallmark of a faithful. 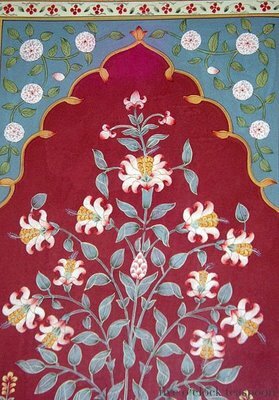 When he or she is bestowed a bounty of happiness and prosperity, he follows it with divine gratitude (shukr). And this thanksgiving attracts divine blessings for him. Make the quality of truthfulness obligatory upon you, for truthfulness leads people to right path, and right path leads to the Garden of Eternal Bliss (Jannah). When a human being always speaks the truth and makes truthfulness his or her own character - the persons name is recorded among the blessed names of the Siddique (truthful, righteous, sincere). Continued. Rest of the 21 ahadith, #20 to #40 will be published in the followup post, God willing. Most of the ahadith on this collection are taken from the famous collection of Meshkat Sharif and for Bengal translation edition "Shariyat and Tasawwuf" and "Ma'ariful Hadith" have been consulted. The beloved Grand Master Muhammad Rasulullah said, "The one who will preserve forty of my ahadith and will transmit it to others, on the Day of Great Awakening (Qiyamah) that person will be resurrected in the blessed company of the possessor of true knowledge (alem)." Allahumma salli ala Sayyidina Muhammad, wa ala ali wa sahbi wa sallam. O Allah send your peace and blessings upon our Noble Master, the praiseworthy Embodiment and his spiritual family and his noble companions. Through Your Permission may You increase our capacity to approach towards him through his transmissions and his beautifully fragrant akhlaq imbued with the Light of Your Countenance. * What was the appearance of Prophet Muhammad?